It’s difficult to know where to start as everything from start to finish went above and beyond the norm but the thing that springs first and foremost to mind is the amount of research Barry did and the options he gave me before we worked out together what would suit our home the best and the finished result is just perfect. Even now visitors still comment on it. Our challenge was to add oak flooring over concrete to the whole of downstairs and to then revamp the open plan stairs to blend in with it. 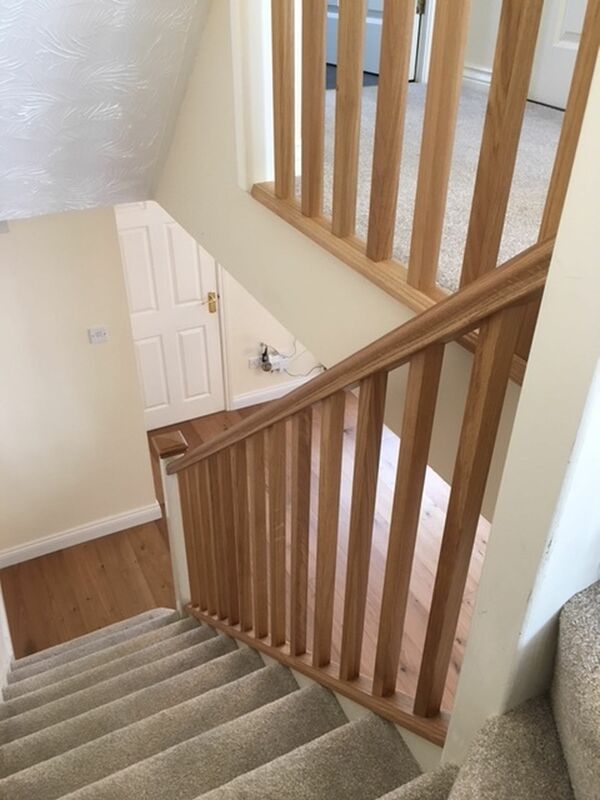 It was decided that the best option would be engineered oak flooring with matching oak spindles and handrails added to the stairs. The job was carried out in an empty room to make his life easier whilst we were away on holiday. During the timeframe allowed Barry worked long days as he only had 4 in which to complete the job in the end but he still took the time to send us photos every day of the progress and the job was fully finished before we arrived home on the Friday afternoon. I can honestly say that I have never had such a pleasant experience in this line and fully expect it to be very hard to ever find anyone so good in the future. Barry really was the best and more than deserving of your award for job of the year 2018. Barry is an exceptional Carpenter with great attention to detail, well deserved. Looks amazing. You can see there is a lot of hard work and dedication gone into this.